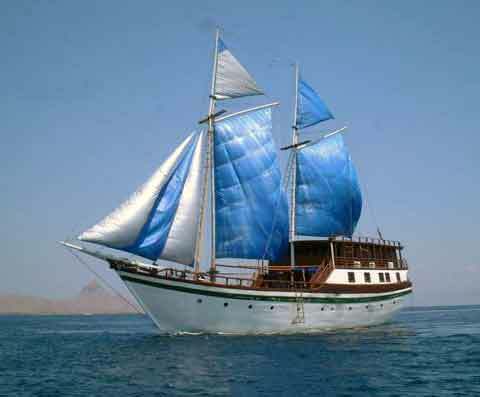 Wooden sailling-motor traditional pinisi vessel, build in Indonesia, with swiss quality make and modern technologies. The vessel has been designed as a floating hotel and has 10 spacious passengers cabine (15 sq.m. ), fully equiped (AC, carpet, toilet and shower) and a suite on the top deck. The boat has 4 decks (machine deck, passenger deck, lounge deck and command deck).